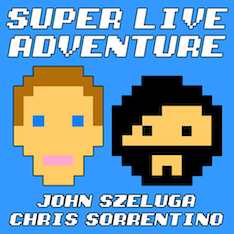 The newest episode of the Super Live Adventure Podcast is now online, and you can check it out at our new website, www.SuperLiveAdventure.com. Joey Patches is our guest, and he tells the longest 7-minute story ever told! It's also a really great story, and we loved having him on. If you're a fan of the show, please spread the word.